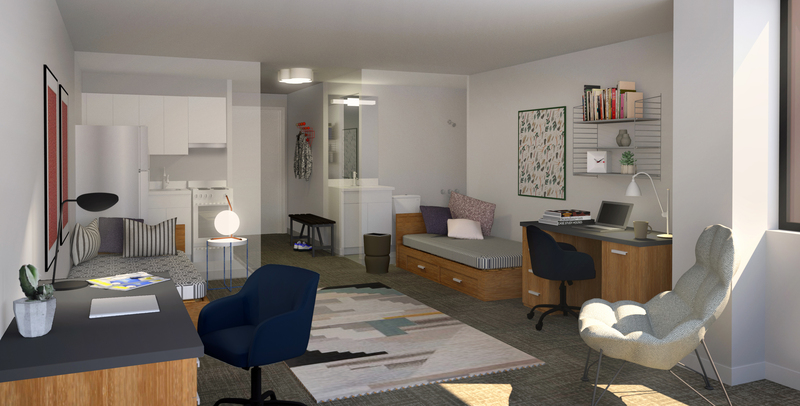 Radnor is in the midst of a multi-phased rehabilitation and repositioning of a student apartment building at Duquesne University. Brottier Hall, a 1960’s vintage, 315,500 square foot student housing building is owned by Radnor on Duquesne’s campus as its only on-campus apartment housing building serving upperclassmen and graduate students. The mixed-use building features 314 apartment units housing approximately 660 students annually, student-focused amenity spaces on the ground floor, a Subway sandwich franchise at street-level, and 83 underground parking spaces for resident Duquesne students. 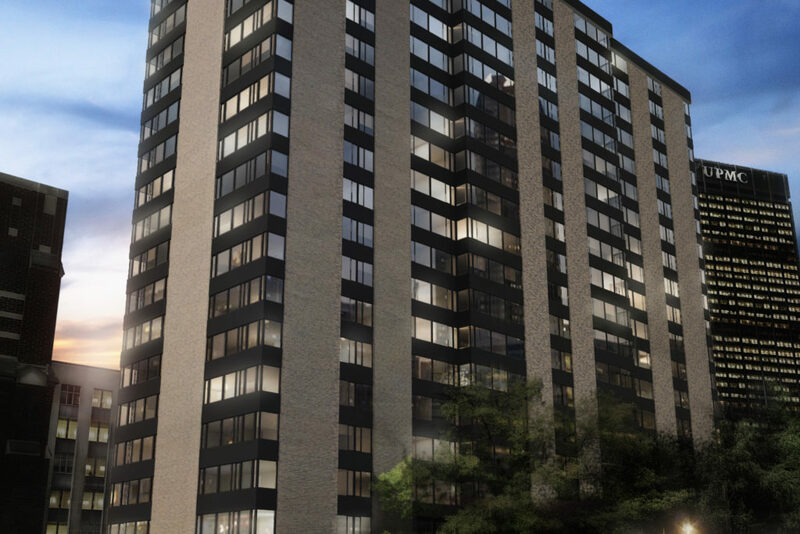 Radnor acquired Brottier Hall in 2018 with Harrison Street Real Estate Capital and is undertaking major building renovations to address deferred maintenance and to modernize the asset. 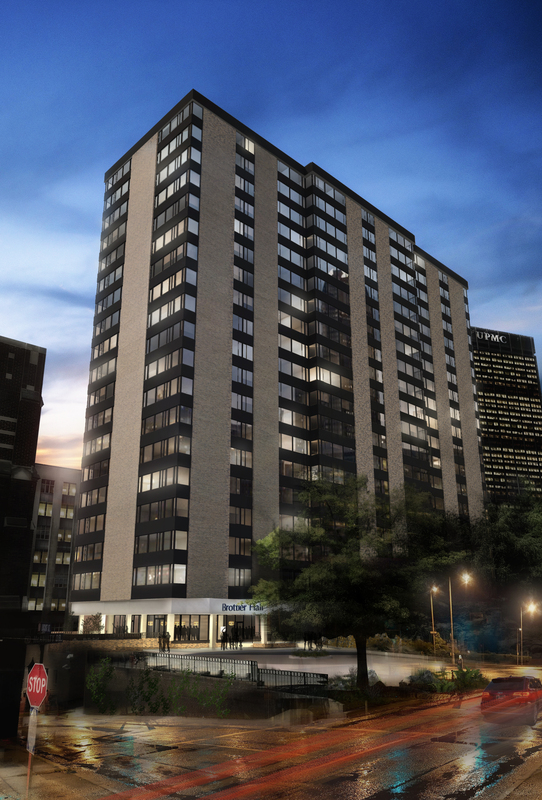 Renovations include full lobby renovation, exterior window replacement, and apartment unit renovations in phases over summer months. The ownership and Duquesne have entered into a long-term Cooperation Agreement to govern this 70-year partnership. Capstone On-Campus Management oversees management and leasing responsibility with residence life functions undertaken by Duquesne University Residence Life.